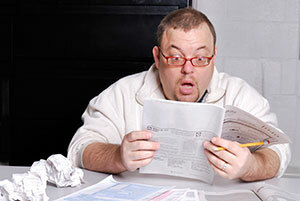 Do you want to lower your expenses, reduce your taxes, and boost your cash flow? Need better information, for the best business decisions? As a business owner, are you conflicted about taking time away from running your business to work on your books? Are your books a fully up-to-date reflection of your company’s financial picture? Taking time away from building your business to work on your books, especially if they are rarely current, creates pain that can be relieved by outsourcing most or all of your tasks. I can take that pain away. I can be your accounting department so you can focus on being the force that drives your business. Call me at 310-921-2979, and tell me where it hurts. was established specifically to help owner-managed businesses successfully grow and prosper. Not all accountants are alike. I am different. I work with you to grow your business and your bottom line. As a profit and growth expert, I am committed to serving the needs of small business owners. I have the know-how and can provide the services required to help your business prosper today, tomorrow and five years from now. You will never see me apply a one-size-fits-all solution. Instead I will give you personal attention and a sophisticated, forward-looking strategy. Every business decision that you make should be based upon current information, combined with experience gained from applying the analysis of past information. I will develop the specific metrics to gauge your success so that you will have the ability to determine what’s working. 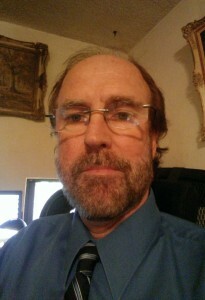 I will provide the analysis of your business data to give you the ability to make the most prudent decisions possible. for a complimentary evaluation of your accounting & bookkeeping needs. A good accountant will save you money and bring you peace of mind. 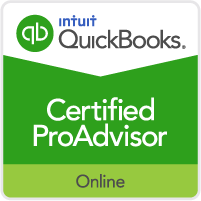 Have a QuickBooks ProAdvisor at your service!